A few weeks ago, Jon and I visited Calhoun Street Soups, Salads, & Spirits for the first time. We were impressed with the decor- it is cozy and has that sought after neighborhood bar feel. It definitely seemed like a good place to hang out on a weekend afternoon. The menu had some interesting items too: fried dill pickle spears, build-your-own hamburger on a pretzel bun, and the Egg Salad BLT, which is what I had and thoroughly enjoyed. 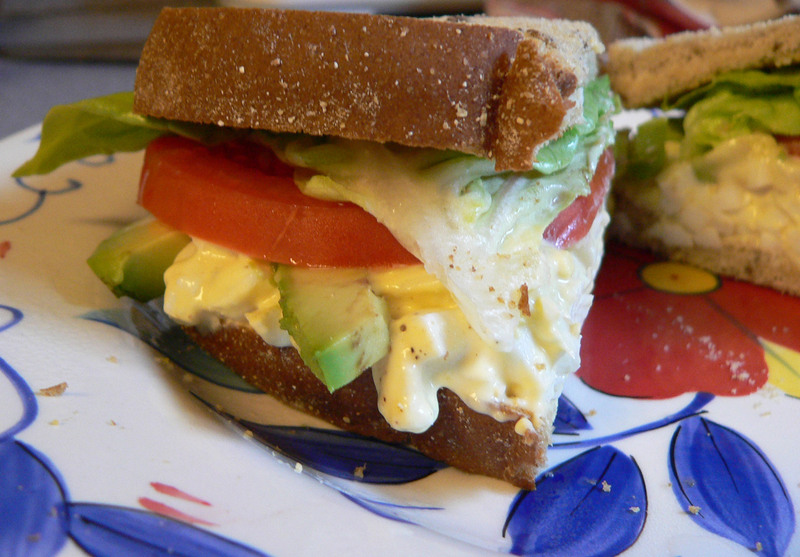 Thinking back on that sandwich, I started dreaming about ways in which I’d approve it, and voila, the Cobb Salad Sandwich was born: Egg salad, lettuce, tomato, bacon and avocado! Mmmmm. I rarely use recipes when I prepare meals, so I will do my best to map out what you will need. Mix together first 8 ingredients to taste- I prefer real mayo over Miracle Whip, but it depends on what you like. I use the cayenne pepper very liberally because I like some kick in each bite. 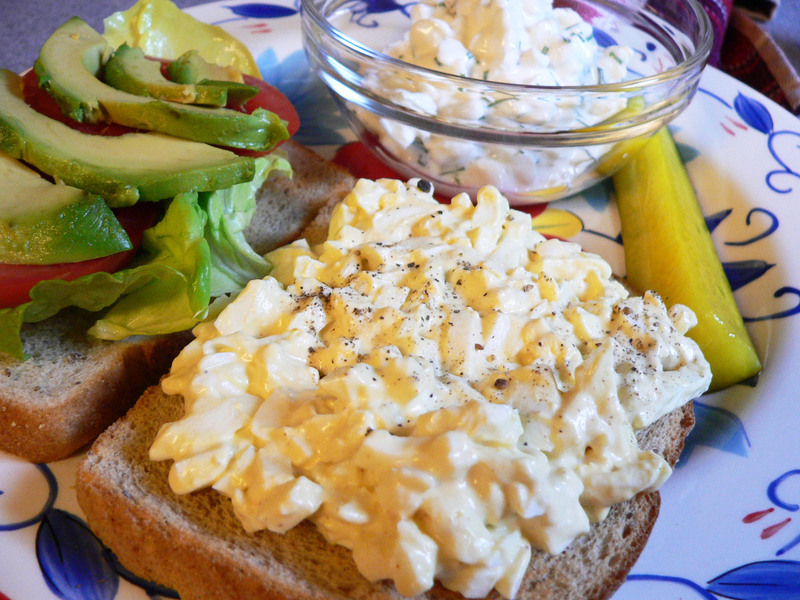 Once the egg salad is mixed, assemble sandwich on your favorite bread. We used Light Rye. Serve it up with a pickle spear and some cottage cheese with homegrown chives.